Valli’s estate vineyard in Gibbston is planted at 4050 vines/ha and cropped at only1kg/vine to ensure perfect ripeness. The first vineyard in the valley to be planted in the true north-to-south direction, it maximises the amount of sunlight hours the vines receive, contributing dramatically to the uniform ripening of fruit, a critical factor in Pinot Noir quality. The vineyard soils are mainly schist derived, windblown alluvial loess. The topsoil is between .5 and 1m deep over free draining gravels that allow the vine roots to easily access water and nutrients. Gibbston, one of the coolest sub regions of Otago, has one of the slowest ripening seasons. A key factor in quality Pinot Noir from such a cool area is long hang time, that is, the amount of time the grapes are on the vine; this allows them to develop elegance and complexity of flavour. 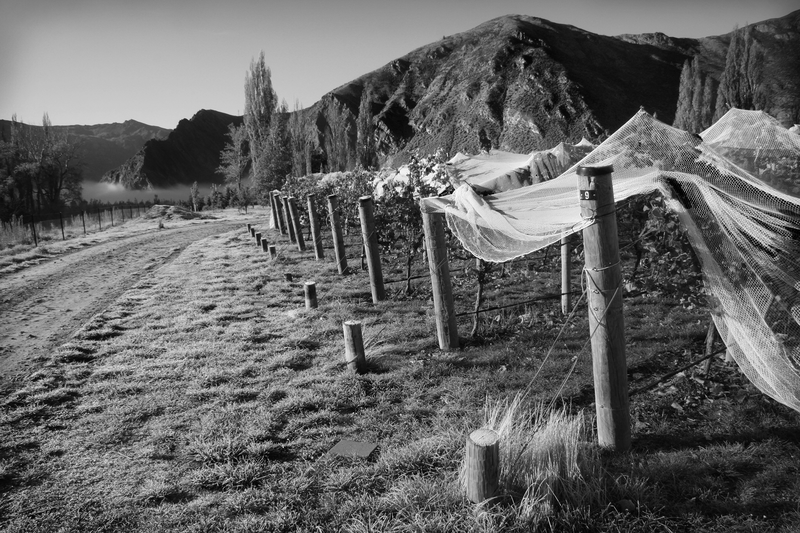 Sometimes our Gibbston Vineyard is not picked until early May.